This article first appeared in Personal Wealth, The Edge Malaysia Weekly, on March 12, 2018 - March 18, 2018. When Ng Sang Beng was 26, he quit his full-time job at Altera Corp — the Silicon Valley-based pioneer of programmable logic solutions — to venture out on his own. He was fed up because his new manager discouraged creativity and only wanted him to follow procedures. 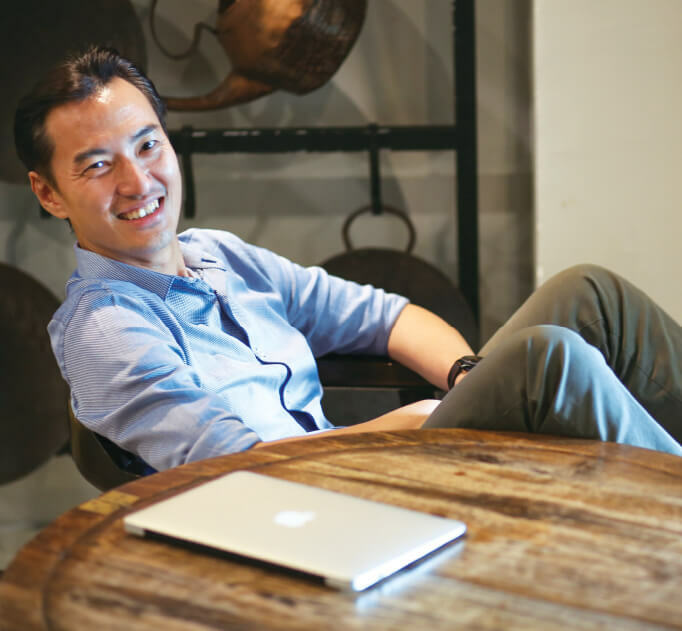 Ng, founder and CEO of ACE Market-listed Aemulus Holdings Bhd, was a bit of a wild child growing up. He did not do things for the sake of doing them. He hated useless bureaucracy and procedures if he saw no point to them. When he started at Altera, he and a colleague were given the mind-numbing task of comparing two graphs visually. Despite being at a technology company, they couldn’t use software to compare the graphs because they had different bases. After a week of comparing 250 graphs a day, Ng decided that enough was enough. He did some research and found that he could use something known as the LaGrange Polynomial algorithm to make the bases of the graphs comparable. So, long story short, while his colleague continued to strain his eyes, Ng sat with his feet up on his desk, reading a newspaper. His American manager was delighted. “Wow, this is perfect,” he said, and promptly implemented Ng’s programme throughout the company. The free-and-easy atmosphere that encouraged creativity gave way to something so stifling that it was not long before Ng clashed with his new manager and walked out of his secure job. He would leave to start his own company. After pounding the pavement for six months, turning up exactly nothing, he received a call from his brother. “He asked how business was and I said, ‘Not good. I am still alone. There are no customers, no products, nothing,’” says Ng. Ng finally received his first order to produce something he knew nothing about — a semi­conductor tester. So, he pulled a few friends into the project, read a few engineering textbooks and designed one from scratch. Not only did they design a tester from scratch, they designed the fastest one in the world at the lowest price. The company he had set up with his friends — Aemulus — would go from strength to strength. But Ng would soon find out that when it comes to building wealth, being a whiz kid and a top-notch engineer was only a small part of the equation. He had to learn a totally different set of skills to build the company. “Wealth is not the money itself. It is the knowledge you get. I know that sounds very general,” he pauses, trying to think of how to phrase it better. So, Ng put his nose to the grindstone and started to learn about all these areas that were outside his comfort zone. “I started to learn about finance; how to actually look at cash-flow projections. Using Excel, I even created a claims submission form,” he says. In these moments of truth, either you get through it or you don’t. “The only way to solve these problems is to have enough knowledge and learn how to manage them. If you do, the business survives and grows. And your wealth, in terms of money, grows in tandem,” says Ng. Challenges are the only constant in the development of any company, he adds. The trick is not to lose your head and throw the baby out with the bathwater. “I try not to be short term. Over the past 15 years, things have gone both up and down. But if you look at it, over time, there is still an upward progression. And that is what I want everyone to understand,” says Ng. He says most people put the cart before the horse. They focus on the money without looking at what is needed to create it. “The money is a side-effect of knowledge. I call it a sub-product of a well-managed business. Ng does not consider actual money that big a deal. It may have something to do with his upbringing. His father was a teacher, but he was not tight-fisted. “We were definitely not rich. Yet, he would still give his friends a treat even if he only had RM50 or RM100 in his pocket. Naturally, this created conflicts with my mum,” Ng laughs. But what this taught him was not to hoard money, but to spend freely. “When I started working, I always had the feeling that money comes and goes. No matter how much you have, you can lose it and you can earn it back,” he says. “So to me, it is not about the money. But over time, I came to see the value of it. And I learnt a secret, which may not be a secret to others, but it was new to me. That is why the partners felt that it was their priority to grow the company. “For many years, we struggled. When we made any money, it was reinvested in the company. We did not pay ourselves all that much. So, in terms of personal wealth, we could forget it,” says Ng. There seemed to be many distractions around him. Ng saw his friends who were good at trading shares in the stock market make what he describes as “tons of money”. “And it looked so easy for them to make it happen,” he recalls. Meanwhile, there were other friends who made their money buying and selling properties as their values appreciated. And even those who went into direct sales seemed to be making a killing while working maybe half as hard as he was. “You know, people can make money so easily. At the beginning, we were constantly asking ourselves if we had made a mistake. After all, this was a technology company and we were suffering. We went through so much and we were still not doing as well as those who had made their money so easily. And you start to think: Am I doing the right thing or should I just go and do something else?” says Ng. This realisation kept him steady when the winds of turmoil were rocking his company. “To be honest, there were many times, especially when the company went into a temporary downturn, that major shareholders came to me and asked me to sell it off,” says Ng. During such times, it was easy to believe the prognosticators of doom when they said the company was going nowhere. The results seemed to bear them out. “I can share with you that we actually had discussions about selling the company — many times. And all those times, the value of the company during negotiations was definitely much lower than what we are today,” says Ng. When he really thought about it, he knew that selling the company was a bad idea. “If I sold it off for a certain sum of money, that would be it. I would have lost this platform and it would not be so easy to start a new one,” he says. He has no quarrel with those who go the financial route to make money off the markets or those who speculate on real estate. “That is probably the fastest way. Nothing wrong with that and many are already successful looking at nothing but the money. But that is not for me,” he says. If gaining knowledge and wisdom is slower, at least it is surer. Even the thought of losing all his money tomorrow does not faze him. The knowledge will still be there and he is confident of rebuilding his fortune. When it comes to building wealth, Ng’s philosophy is pretty straightforward. “There are three steps when it comes to growing your wealth. The first is, when you don’t have money, save money. Of course, there are people who say, ‘Oh, saving only gives you 3%.’ I am not interested in having a debate with them. Don’t think about how to invest. Just save,” he says. The second step is what to do with your money after you have saved enough. “How to grow that money is a skill in itself,” says Ng. In his case, he put his money into his own company. But others may decide to invest in property or play the stock market. And the third step is, if after you have grown the company, you lose everything. “It is okay. Just go back and do step one,” says Ng. Having had an unconventional outlook on nearly everything, it is perhaps only natural that Ng would be unconventional in terms of what he believes about passing on wealth to future generations. “I tell my son that he has to specialise in two things — another language and programming,” he says. Unlike most parents, Ng does not think that playing video or computer games teaches children about programming. “If you think that, you are wrong. It is very misleading. Being able to play Dota 2 or 3 (Defence of the Ancients, a free-to-play multi-player online battle arena video game) does not teach you anything about programming,” he says. Ng is worried about future generations because many have been brought up to think that their paths have been made smooth because they will inherit their wealth from their parents. “I don’t have any such intentions. My wife and I have told our children that if we are able to maintain our wealth, it belongs to us, not them. Of course, we will do our duty and educate them as well as possible. But after that, they are on their own,” he says. This brings us back to his original premise. “So in terms of wealth building, if you take away the parent or inheritance factor, it all comes back to knowledge, doesn’t it? So, you have to learn to pick up the right knowledge and translate that into wealth. You could become a really good programmer, for instance, and that would give you more wealth in terms of money. That is really what I think,” says Ng.